Cases involving schemes to defraud can have significant penalties. If you have been arrested for a criminal offense involving a scheme to defraud, you should speak with an experienced Orlando criminal attorney at your earliest opportunity to learn about your rights and the defenses that may be available to you. Scheme to defraud means a systematic, ongoing course of conduct with intent to defraud one or more persons, or with intent to obtain property from one or more persons by false or fraudulent pretenses, representations, or promises or willful misrepresentations of a future act. In recent years, many of these schemes to defraud use communications technology to solicit victims and conceal their identities. In response the Florida legislature developed the Florida Communications Fraud Act. If the amount of property obtained has an aggregate value of $50,000 or more, the violator is guilty of a first degree felony punishable by up to 30 years in State prison. If the amount of property obtained has an aggregate value of $20,000 or more, but less than $50,000, the violator is guilty of a second degree felony punishable by up to 15 years in State prison. If the amount of property obtained has an aggregate value of less than $20,000, the violator is guilty of a third felony punishable by up to 5 years in State prison. If the value of property obtained or endeavored to be obtained by the communication is valued at $300 or more, the violator is guilty of a third degree felony punishable by up to 5 years in State prison. If the value of the property obtained or endeavored to be obtained by the communication is valued at less than $300, the violator is guilty of a first misdemeanor punishable by up to 1 year in the County jail. If you or a loved one has been arrested for scheme to defraud, speak with an Orlando criminal attorney. 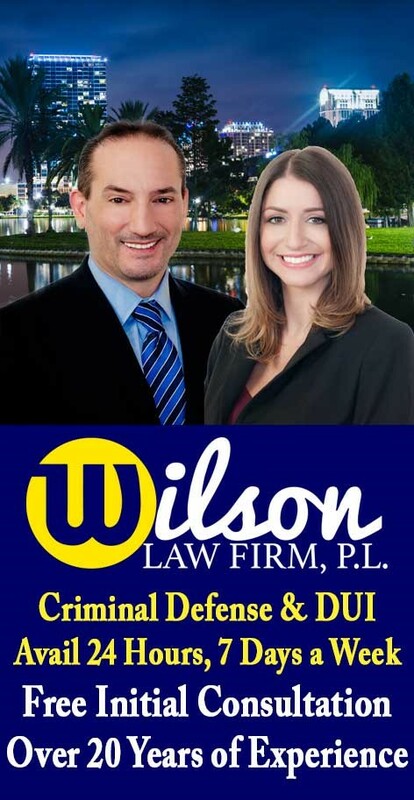 If you or a loved one have been arrested for a criminal offense, call the Wilson Law Firm today to speak with an experienced Orlando criminal attorney about your individual situation. In many criminal cases, a properly prepared defense by a criminal lawyer will result in either reduced penalties, reduced charges, or a dismissal of the charges. Even in criminal cases where the evidence of guilt is overwhelming, a properly prepared defense and presentation of mitigating circumstances by an Orlando criminal attorney can result in significant decreases in the penalties you receive. Scheme to Defraud – The Wilson Law Firm provides a free initial consultation with an experienced Orlando criminal attorney. Call us today to speak with an Orange County criminal lawyer about the legal process and your rights.